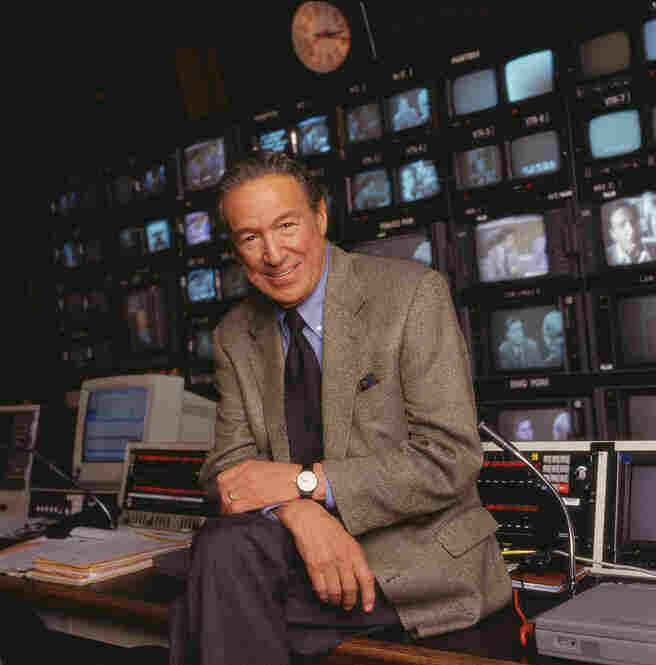 '60 Minutes' Newsman Mike Wallace Has Died : The Two-Way CBS News is reporting that veteran newsman Mike Wallace has died at age 93. 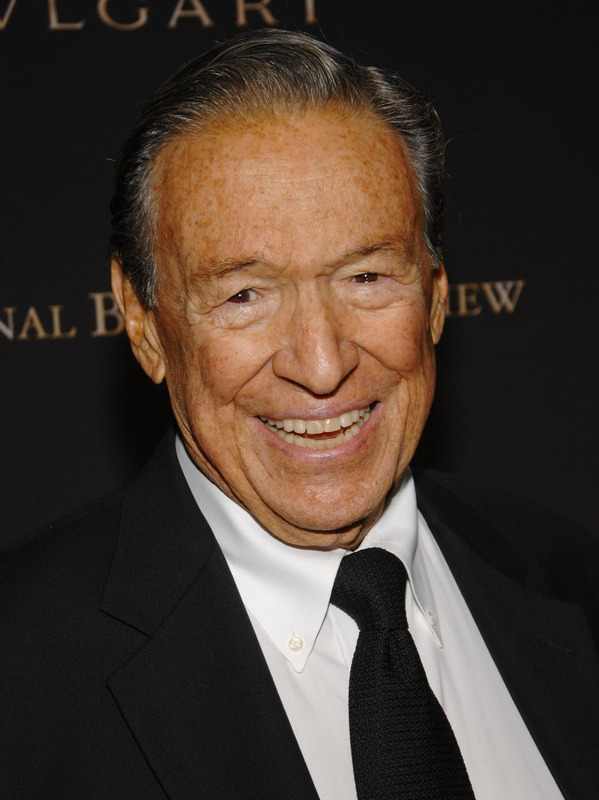 Veteran newsman and 60 Minutes founding correspondent Mike Wallace has died at age 93. 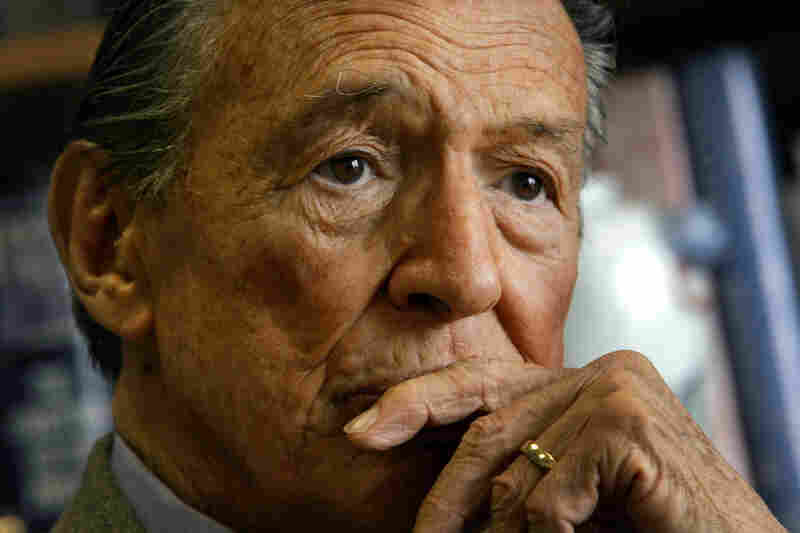 "So insistent, there were very few 20th century icons who didn't submit to a Mike Wallace interview. He lectured Vladimir Putin, the President of Russia, on corruption. He lectured Yassir Arafat on violence. "It's hard to believe, but when Wallace was born in 1918 there wasn't even a radio in most American homes, much less a TV." NPR's David Folkenflik will have a remembrance of the veteran journalist later today on All Things Considered. We're running an abbreviated version of his story on NPR.org now. Meanwhile, the AP is also highlighting some of the CBS correspondent's long career, including a more recent episode when his son Chris Wallace interviewed him for Fox News Sunday. "His son asked: Does he understand why people feel a disaffection from the mainstream media?
" 'They think they're wide-eyed commies. Liberals,' the elder Wallace replied, a notion he dismissed as 'damned foolishness.' "
Mike Wallace, whose pitiless, prosecutorial style transformed television journalism and made "60 Minutes" compulsively watchable, died Saturday. He was 93. 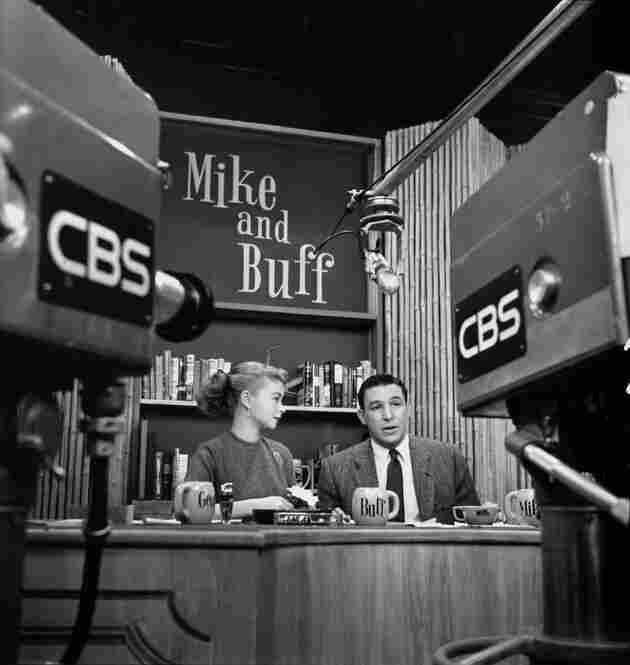 Wallace joined CBS in 1951, co-hosting the talk show "Mike & Buff" with his then-wife, Buff Cobb. 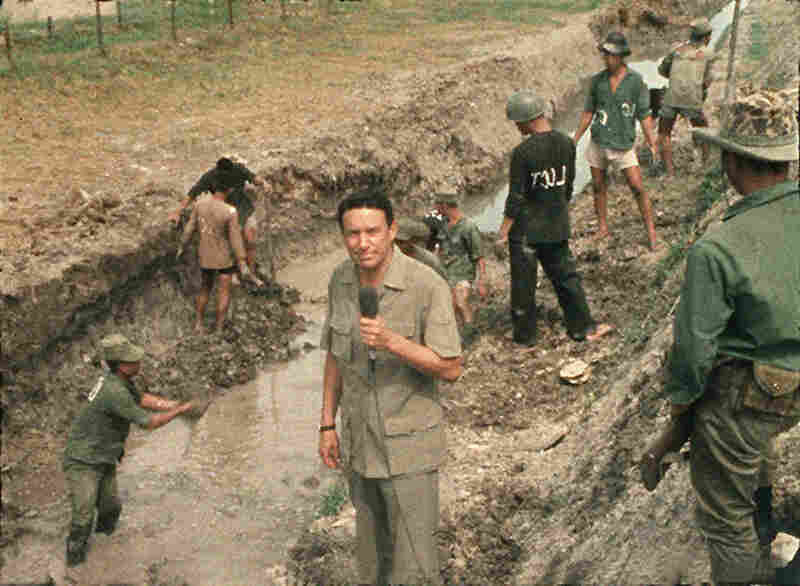 During a short stint reporting from Vietnam in 1967, Wallace broadcast from the trenches. 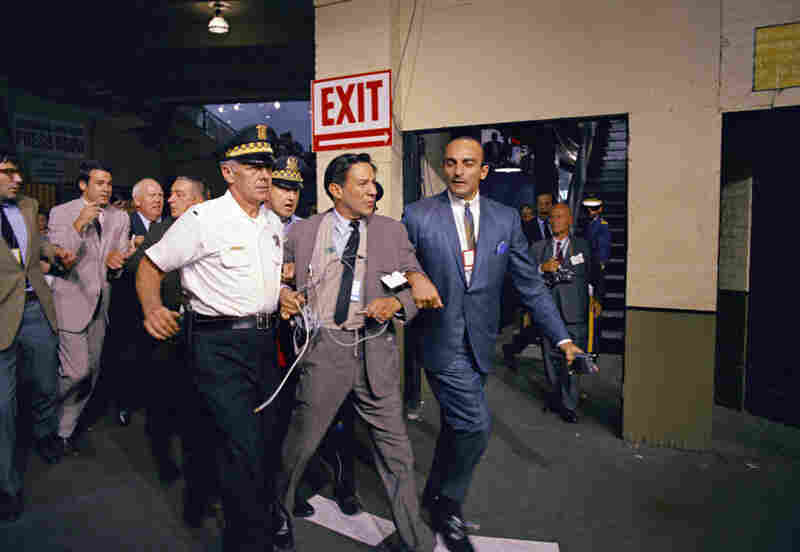 Wallace took a sock in the jaw while covering the tumultuous 1968 Democratic convention in Chicago, where he was hustled off the floor in the aftermath of a row between delegates and security officers. 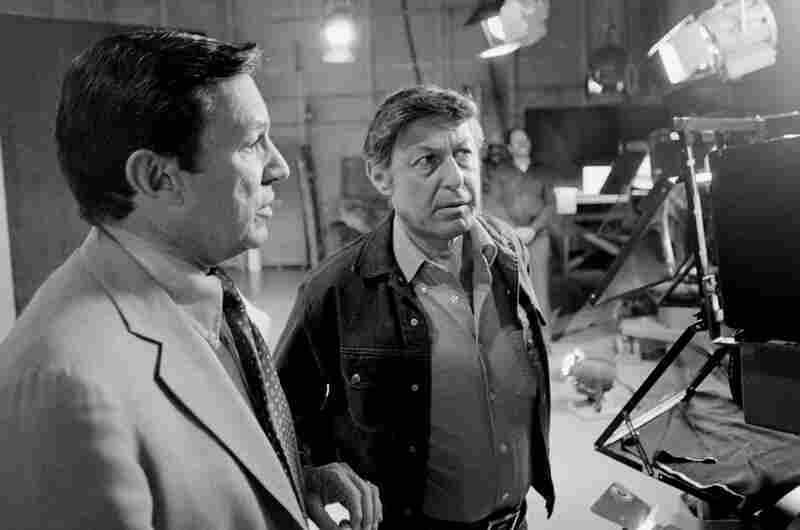 Wallace was the first man hired when CBS news producer Don Hewitt, right, put together the staff of "60 Minutes." The show wasn't a hit at first, but worked its way up to the top 10 in the '70s. The most publicized lawsuit against Wallace was by retired Gen. William C. Westmoreland, who sought $120 million for a 1982 documentary. 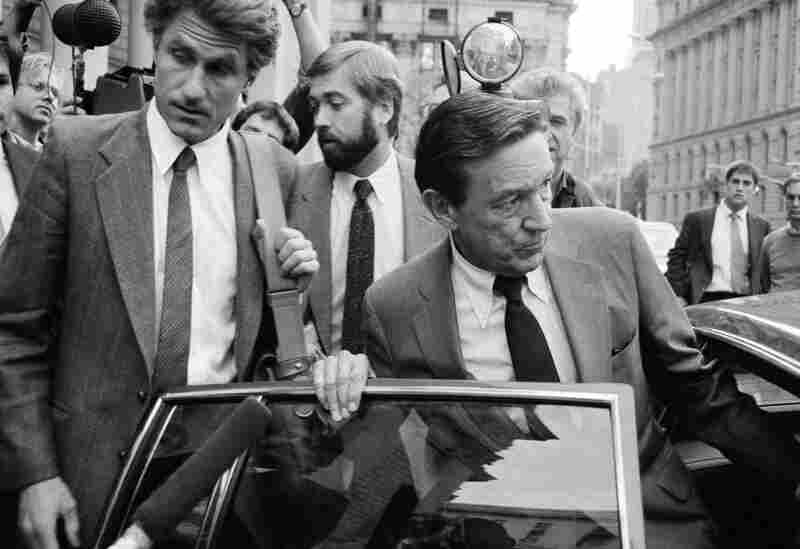 Westmoreland dropped the libel suit in 1985 after a long trial. 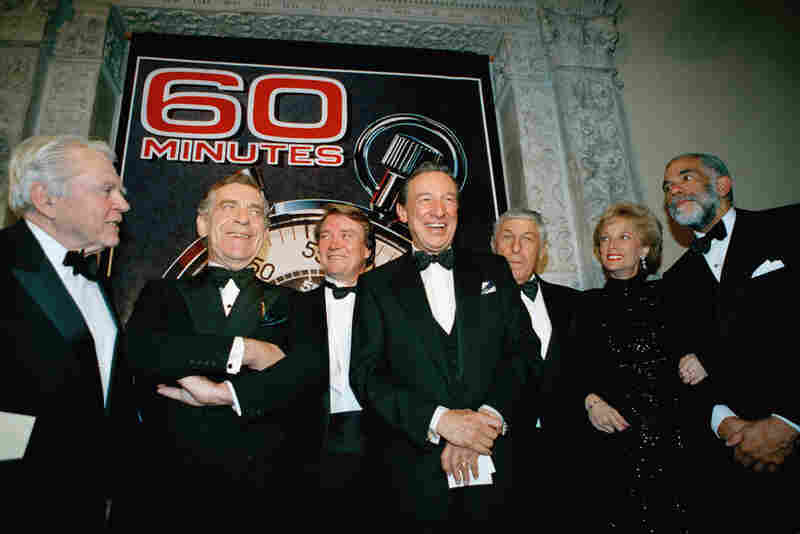 Among other things, "60 Minutes" proved there could be big profits in TV journalism. The show featured insightful talks with celebrities and world leaders — and earned Wallace a reputation as a tough, prepared interviewer. On "Fox News Sunday" in 2005, Wallace's son Chris asked if he understood why people feel a disaffection from the mainstream media. "They think they're wide-eyed commies. Liberals," the elder Wallace replied, a notion he dismissed as "damned foolishness." 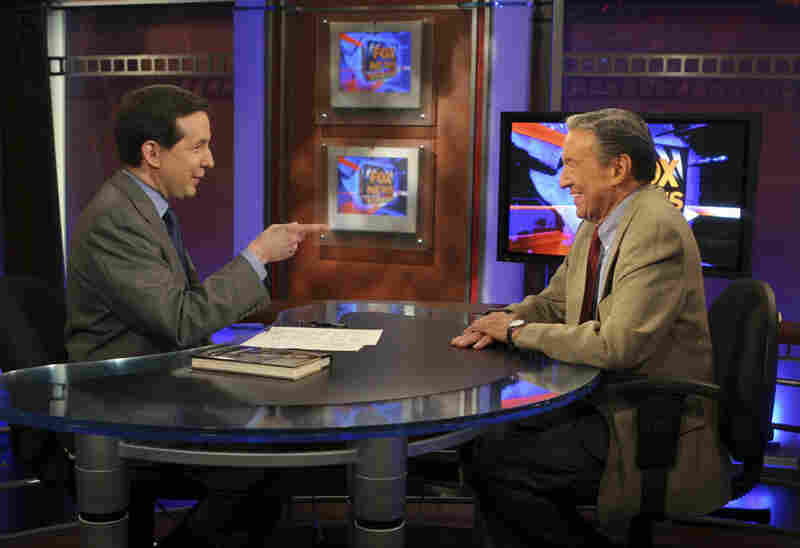 Wallace promised to still do occasional reports when he announced his retirement as a "60 Minutes" correspondent in 2006. He vowed to quit only "when my toes turn up."